The bodies of Spc. Alex R. Jimenez, 25, left, and Pvt. 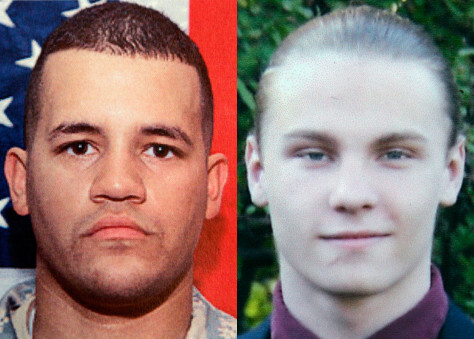 Byron W. Fouty, 19, were found in Iraq more than a year after the soldiers were kidnapped.